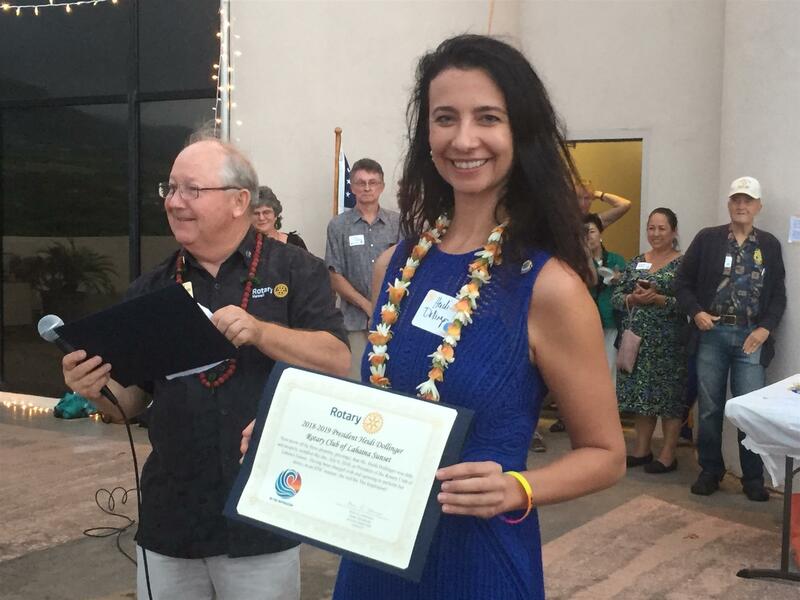 Heidi Dollinger was “officially” inducted as President of the Rotary Club of Lahaina Sunset. On the rooftop of One Main Plaza in Wailuku the new presidents of 9 Maui Rotary Clubs gathered with club members to receive the “Induction Pledge” by District Governor Win Schoneman. Pastor Laki Ka`ahumanu provided all with special blessings for a successful year. And all received a REAL Hawai`ian Blessing (Maui rain!) during the induction event! We all look forward to an amazing year under President Heidi’s leadership where we will all be working together to “Be the Inspiration”! !